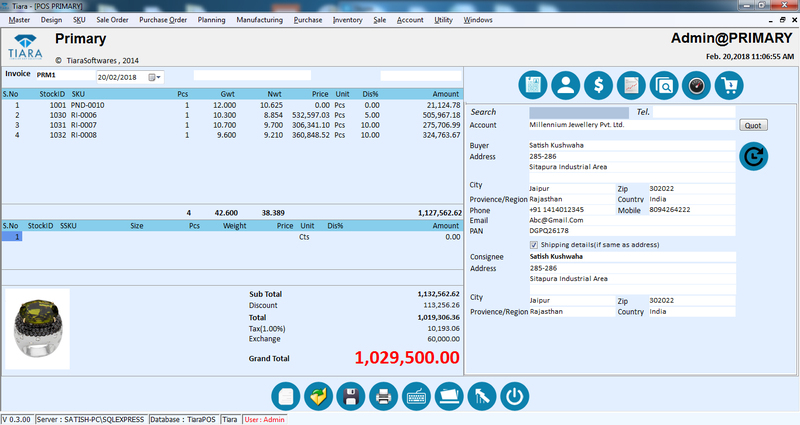 Tiara POS Jewelry Software for retail & wholesale, Manufacturing Business. 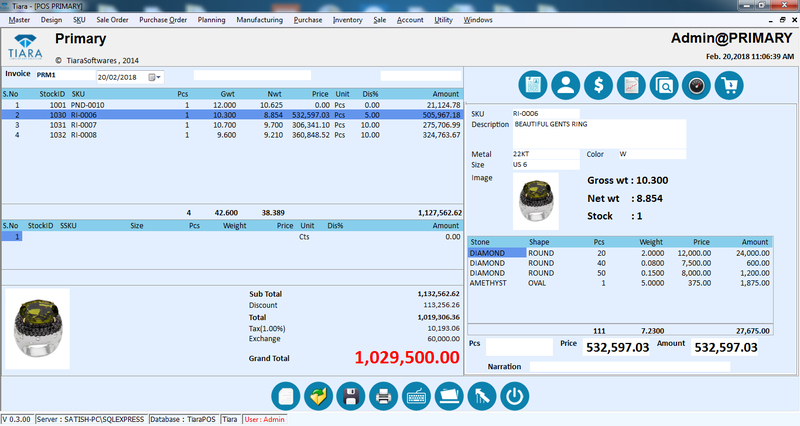 Tiara Jewelry Software is designed for your retail & wholesale business to manage from customer billing, bar-coding, imaging, return & repair, purchase & planning's, contractors, stocks, tray stocks, finance, receivables & issuable, mis, vat/e-returns & tds to cashier/operator control. ✓ Product breakdown (Metal Value+ Metal loss Value+ Stone Value+ Labor Value). ✓ Multi Location, Multi Office independent Transaction concept. ✓ Reporting output PRINT/ EMAIL/ PDF/ EXCEL/FILE. ✓ Flexible Reporting with Search, Sorting, Grouping. ✓ User Rights Control with log File. ✓ Dash board ( Store Number online, Total Inventory on all Store, Total sale ( Cash , Credit), New customer, New affiliate, Current 10 Sale.